Vaporesso Attitude is a mod with attitude. It ushers you into a world of large but light mods. It is the kind that you carry in your pocket and not look or feel as though you are carrying a rocket. 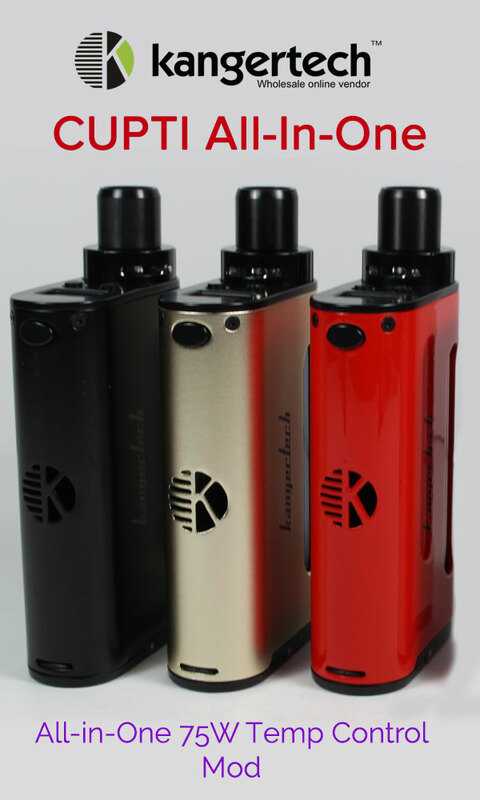 It is masterfully designed to appeal to both new and experienced vapers. The price is quite lenient for a mod of its quality. This 80-watt single 18650 mod has temperature controls for Titanium, Nickel, and Stainless steel. 0.5-ohm replacement coil. It already has a pre-installed 0.4-ohm coil. The Vaporesso Attitude is one of a kind. Although it is as big as most mods on the market, it only weighs 125g, which is pretty lightweight. With a length, width, and depth of 3.2 inches, 1.84 inches, and 9 inches, it will fit perfectly on the average hand. Originally, this mod has a 2ml capacity tank, but you can expand this to 4ml using the additional tank that comes with this product. It does not come with the batteries, but you can find those anywhere. The buttons for changing your settings are at the bottom and set in a way that is easy to access. I like that they have specified the plus and minus buttons, so you do not have to guess. It has several vent holes at the bottom. It is easy to work, with two buttons on the side and the power one at the top. A large LED lets you see your settings and status of your battery. It comes with default settings, but you can adjust them and save to suit your vaping needs. Your resistance preference will determine your wattage, here meaning that the settings will automatically change depending on your preference. That does the work for you unless you want to change the settings manually when using Smart VW mode. It helps you set the wattage to the ideal setting based on the resistance of the atomizer, which is great for beginners. With advanced modes of CCW (Customized Curve of Wattage)and CCT (Customized Curve of Temperature), this allows finer adjustment to the wattage or wattage. At Bypass, you will be vaping like a mech mod. Here, the internal workings of the mod will set the wattage according to the level of your battery. We would not recommend this for those new to vaping. One more interesting thing you will notice at the display is when you click the mode button three times; your screen (at wattage mode) registers “CCW.” If you hold the mode button for a few seconds, then let go. There, on your LED will appear where you can adjust the different temperature control modes. Here, you can make all adjustments you need, and it will only take you seconds. The 2ml size tank is large enough to allow you to refill without dripping. As we noted above, it accommodates 2ml initially, but you have a replacement glass in there if you want to boost it by 2ml (this is especially for heavy vapers). The top cap can be quite hard to pry open, especially if you tightened it too much, and that is how the rubber lid comes in. It makes it easy to remove the drip cap and even close it so that it does not leak. I have to note here that unless you leave it loose, this mod will not leak at all. EU coil basically means Eco-Universal, which saves you a ton of money when you buy a pack for replacement. Why is that? Because the coils require fewer metals to be used, while only needing to replace the core of the atomizer. The Estoc Tank has two airflows on the side, both of which are adjustable. It has a stopper to keep it in place, and you can open it all the way if you so wish. The tank is top filling, and so you will only need to unscrew the top part to get to it. 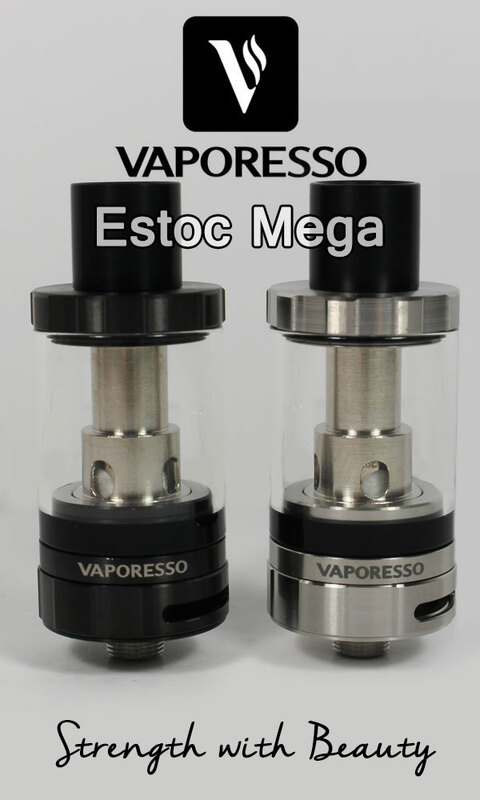 The coil, which you will have inserted at this point, is well inside the tank, and as usual, it is advisable to allow the e-liquid to settle in there and soak the cotton for several minutes. To change the coil, you simply switch your mod off, gently remove the cap, and pry it out. Speaking of coils, this mod comes with two the ceramic coil, one 316L coil, and other Clapton Traditional, which is 0.5ohm and can be vaped between 25 and 40 watts. This coil is the replacement found in the kit. The other one, 0.4ohm, which is pre-installed in the mod is Clapton style coil which can be vaped between 40 and 55 watts. Vapor production on this mod is impressive. It literally leaves behind clouds of smoke. As for the flavor, it hits right, especially when I restricted the airflow. To be honest, I was not surprised at all. I expected nothing short of excellence from Vaporesso, and they delivered in this Attitude 80w. Overall, this is an excellent mod. One of the best, even. Flavors are slightly altered with the ceramic coil. If you are like me, you would rather stick with the traditional coils. Nothing fancy, but excellent flavors. Also, the magnetic door rattles a bit, so that could do with some tweaking. Based on the performance, the Attitude performs similar to most sub ohm devices, but the main difference is the appearance, giving an attitude appeal. With four colors available, the Attitude is a good looking device with your typical great sub ohm performance. And you can’t wrong with the size of the Attitude.